My four-year-old is in my home office, demanding 20 hugs and 20 kisses. 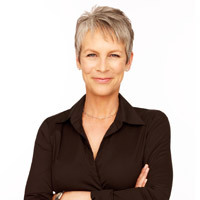 Sure, I say, but let’s be quick about it—I’m about to call Jamie Lee Curtis. We do the 20/20 and my kid is off like a rocket. Curtis will be one of the speakers Saturday on the Target Children’s Stage at the L.A. Times Festival of Books, which moves to USC this year after 15 years at UCLA. Organizers expect 150,000 to attend the free two-day event that will include dozens of panel discussions, author readings, book signings, cooking demonstrations, and live music. While the festival has always included children’s activities as well as adult fodder, there’s a decidedly youthful vibe surrounding the event this year. John Bemelmans Marciano, grandson of the Madeline books’ author and illustrator, Ludwig Bemelmans, was chosen to create this year’s logo, so the USC campus will be adorned with banners of plucky Parisian schoolgirls this weekend. What’s more, the recipient of this year’s Robert Kirsch Award, honoring lifetime achievement and given as part of the L.A. Times Book Prizes, is children’s author Beverly Cleary. It’s the first time a children’s author has won the Kirsch award, and we can’t think of a more worthy recipient than the groundbreaking author of Henry Huggins and Ramona the Pest. Curtis will read and take questions from the audience during her time on the Target Children’s Stage this weekend. “What I usually do is sort of performance art at this point,” she said. The outdoor stages, with open seating available on a first-come, first-served basis, are always a big attraction; you can see celebrities like Stefanie Powers and Rick Springfield on the L.A. Times Stage, famous chefs like Thomas Keller on the Cooking Stage, and fabulous acts like the Inner City Youth Orchestra of Los Angeles on the Etc. Stage. Although the stages and exhibitor areas are free, indoor panels require advance tickets (along with a $1 ticket service fee). Many panels have already sold out, but there will be a limited number of tickets distributed each day at the Eventbrite booths on campus. You can also wait in a stand-by line outside each session’s room in case someone with a ticket doesn’t show. Buzz at the festival always surrounds the winners of the L.A. Times Book Prizes, which will be awarded Friday night in a private event. Some of the finalists scheduled to appear at the festival include Edmund Morris (Biography); Patti Smith (Current Interest); Jennifer Egan and Frederick Reiken (Fiction); Susan Dunn, Thomas Powers, and Steven Solomon (History); and Oren Harman, Naomi Oreskes/Erik M. Conway, and Lauren Redniss (Science & Technology). Hopefully, the festival will situate itself on the USC campus a bit more cohesively than it could in years past at the sprawling Westside venue. Festival organizers are promising more parking this year as well as shuttle service between Union Station, the L.A. Convention Center, and USC to supplement existing public transportation. Food service is also supposed to be spruced up, with more concessions as well as “sit-down dining” available in existing campus restaurants. For me, the festival will be a family affair. I’ll get the chance to sneak to in a few panels before my two kids and husband arrive and we spend the rest of the day wandering around the stages and perusing the concession tents. Curtis approves of my plan.